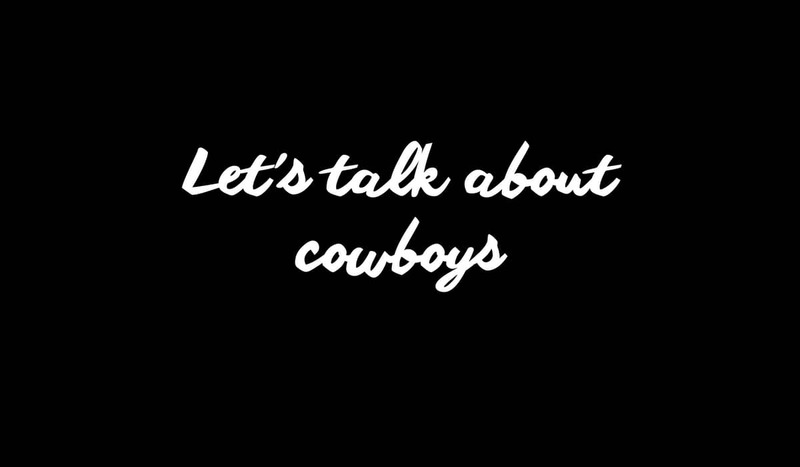 Can we talk about cowboys? Not the ones that ride around on horses (although that IS a great topic). The ones that scam us. You see my industry is rife with them. People offering services with no knowledge or experience. People selling the big dream and then not delivering. People asking for thousands, tens of thousands, for products and services that, if you spend the time doing a market comparison, is far too high and, probably, too low value. And it worries me. In the past 6 months I’ve lost count of the number of entrepreneurs that have come to me asking for my help as they’ve spend thousands on a course or a coach that has got them nowhere. Many want to use their credit card to pay for my services to help them (which is a big no no for me). The problem we have is that we can perpetuate a false persona or brand so easily online. Get a photo shoot done in a glitzy location sitting in an expensive car (that belongs to someone else) or in a premium hotel room with a view. People can claim whatever they want on their websites, and who are we to know any different? The Internet is a wonderful thing. It connects us in ways we could previously only dream of. It offers opportunities we didn’t even know existed in the past. But it has a dark side. And that’s where these inauthentic people operate, purely to make money. Now, there are some amazing authentic coaches and consultants out there, many I admire hugely. But my point here is there are just as many that will happily rip you off. Do your due diligence people. If you’re looking to work with someone or buy their course or program, check them out. Google their name (and previous names if they have them), check out their history on LinkedIn (does it match up to what they’re claiming? ), look at how they conduct themselves on their social media profiles, how they speak to people (and I mean people at all levels, not just the ones they’re trying to impress). Does the stuff they’re claiming match with their website and their social media profiles? If you do speak to them, pay attention to how they engage with you. Are they genuinely interested in YOU, or are they simply trying to get the sale. And if anyone, ANYONE tries to shame you into buying with phrases like ‘You’re clearly not ready to invest in your business” or “You won’t succeed unless you invest in your business” or “buy my damn thing now it’s better than anything else on the Internet”, then get the hell out of dodge as you can bet this won’t be a good decision for you. Look for someone with integrity and authenticity at their very core. Someone who will REALLY care about you and your business. People with the right WHY. Because this is what it’s about. My WHY for this business is to bring people’s dreams to life online. It’s why I do this and the day I stop caring about that is the day I’ll stop doing what I do. Integrity and authenticity is at my very core, in all areas of my life. These are true values, and ones I hold dear. It was seeing all this play out online, and hearing the awful stories from some of my clients, that was the reason I wanted to create something jam packed with integrity, authenticity and the right knowledge to give people the results they desire, without costing a small fortune. I created my Simply Smart Business Academy to teach small business owners and entrepreneurs everything they need to get the results they crave. Comment below if you’ve a (horror) story to share, or if you’ve had a great experience with a coach or course. I much prefer those stories.